SAY “HELLO” TO OUR 2019 POKER STOPS!!! These folks are so excited about serving you. It all begins at the E-Club at noon on Sat. May 18. Register online now so you can experience what they have to offer and more! 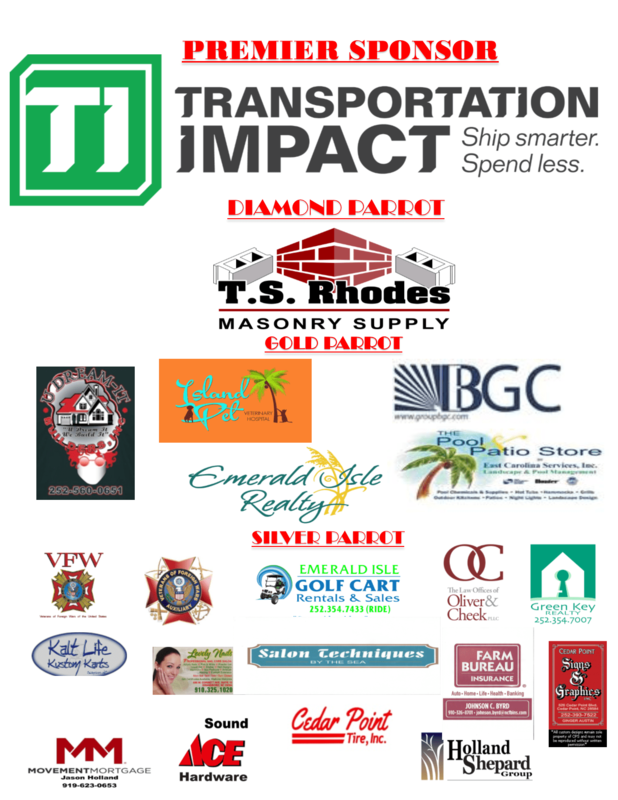 “Phinz Up” to OUR GREAT SPONSORS who help make this event possible! Thank you! PHiP’s Meeting of the Minds 2019 Drawing Winners Are Announced!! Hello Parrot Heads! Here is your PHiP’s Meeting of the Minds “License to Chill” Update! The Casa Marina is currently sold out for Meeting of the Minds 2019. There are usually a few cancellations through the year due to “life gets in the way” so if you want a room there is an easy way to get on our Casa Marina wait-list! It is VERY SIMPLE: Send an email to our Director of Registration Rick Fyffe at: rjfyffe1@ymail.com and tell him you want to be added to the waitlist for the Casa Marina. Please put “Casa Wait List Request” in your email title and be sure to give Rick your contact details for the hotel staff if a room opens. That is it! You will be added to the Casa Marina MOTM wait list for 2019. I will give you a quick update on the Reach Resort status during PHiP’s MOTM 2019. The Reach will be undergoing construction and upgrades during MOTM 2019. The Reach will not be accepting reservations for MOTM as the upgrade is happening during our dates. I just received this news two days ago so you are hearing this almost as soon as I am.This is all I know at this time. THE WINNERS OF THE MOTM DRAWINGS ARE SELECTED FOR 2019! First thank all of you for registering for PHiP’s MOTM! For those who made it in by April 1st you were entered into the drawing for a chance to WIN 2 tickets to see JIMMY BUFFETT AND THE CORAL REEFER BAND in a city of your choice in the USA or Canada during the 2019 tour courtesy of MARGARITAVILLE FOODS!! The winner was selected in a drawing this past week. Drum roll please!! The winner of the TWO Jimmy Buffett 2019 concert tickets for 2019 is: John Boomer of Club Finz in Portsmouth, Maine! Congratulations to John! Thank you to our MOTM sponsor Margaritaville Foods! If you booked your room at the Casa Marina and registered by April 1st, 2019 you were in a drawing to win a FOUR NIGHT STAY DURING PHiP’s MOTM 2019 IN A TWO BEDROOM OCEAN VIEW SUITE FREE!! The winner was selected in a drawing this past week. Another drum roll please!! 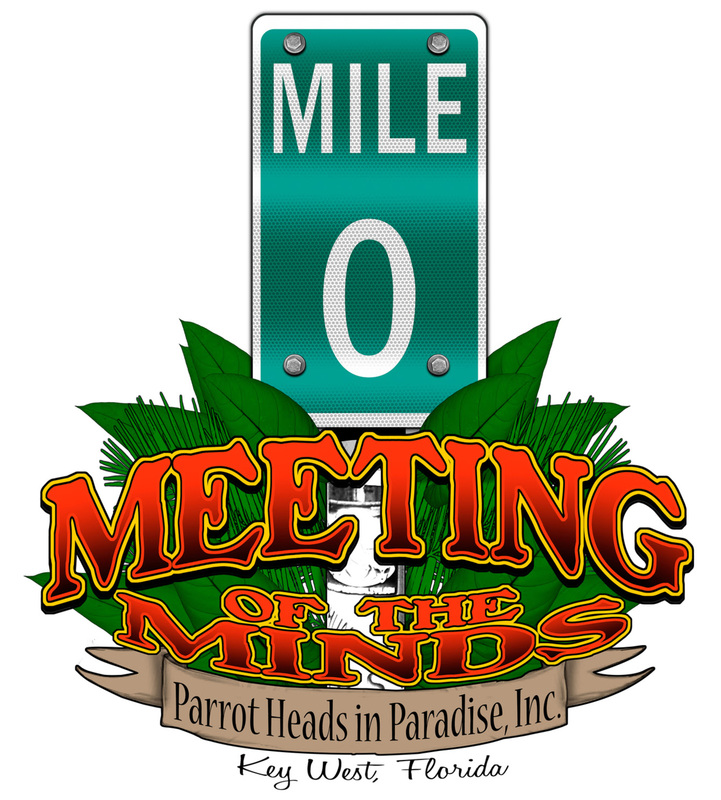 The winners of the beautiful two-bedroom ocean front suite for PHiP’s Meeting of the Minds 2019 are: Jennifer and Michael Hollander of the Virtual Parrot Head Club! Thank you Casa Marina and PHiP’s MOTM for this awesome prize. Until next time I’ll see you, down the road! 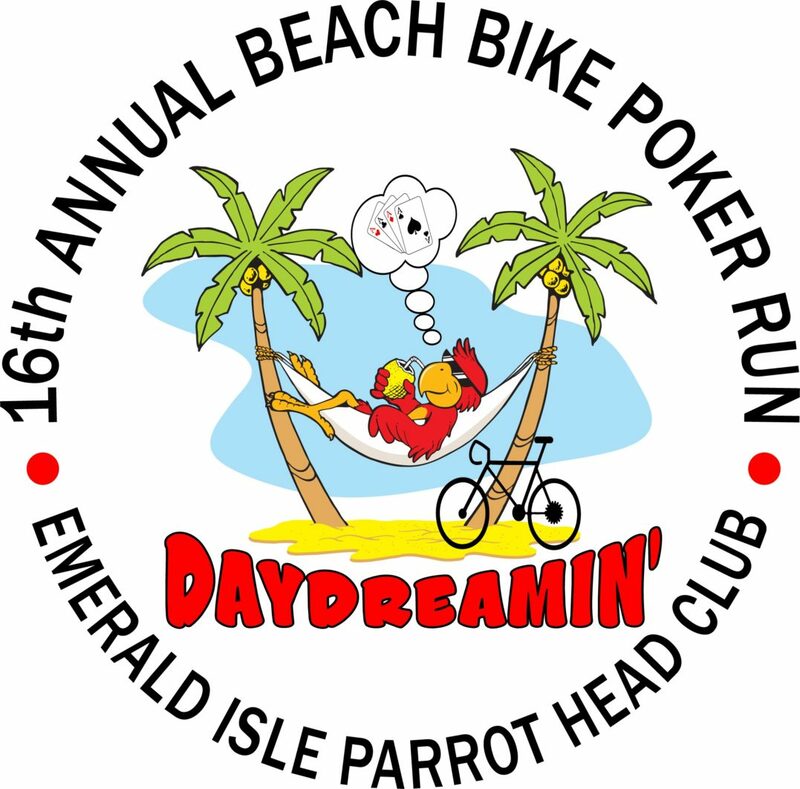 Parrot Heads in Paradise, Inc.
MAY 18 2019, BEACH BIKE POKER RUN, REGISTER NOW! REGISTRATION AVAILABLE ONLINE FOR $20. YOU SAVE $5. RACE DAY REGISTRATION $25. 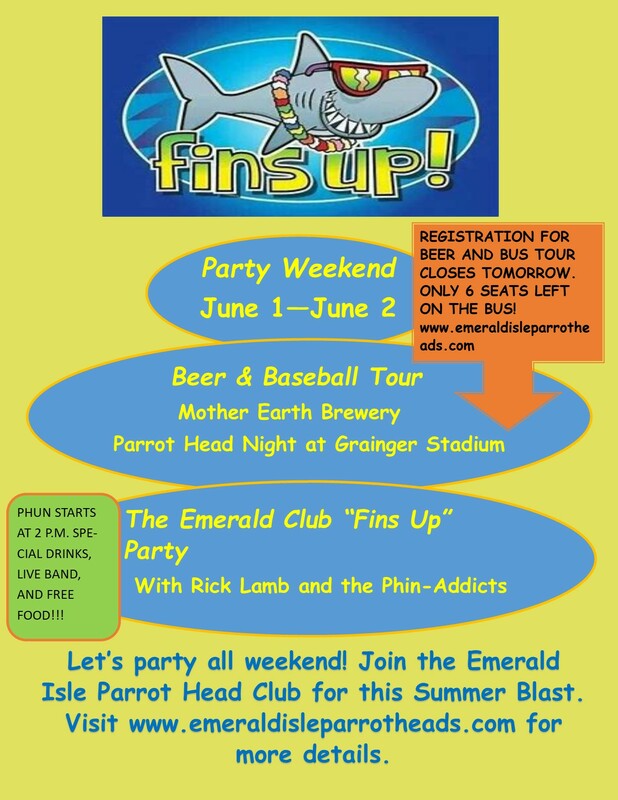 Event t-shirts @ $10.00 each are also available online for purchasing, so register now at www.emeraldisleparrotheads.com, to guarantee yourself the t-shirt size you want and to save money! 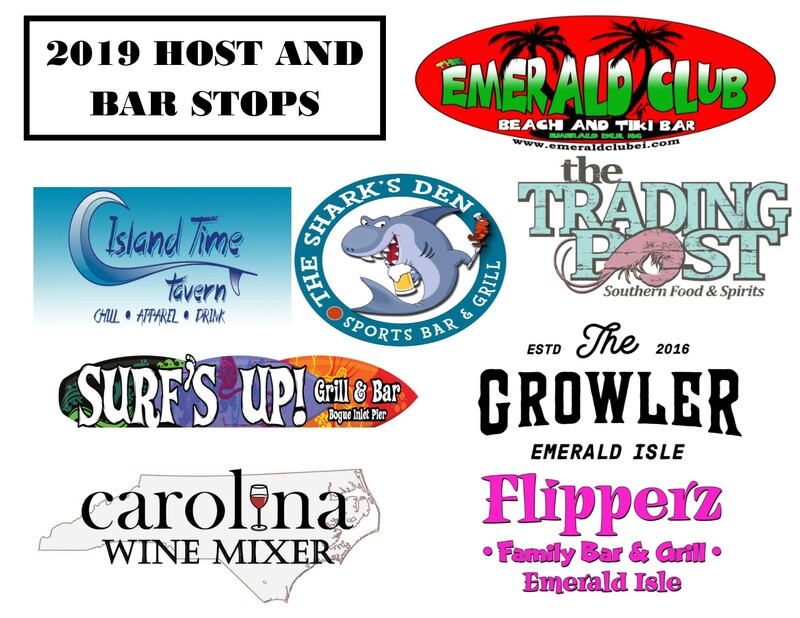 WHERE: Beginning at E-Club, 8102 Emerald Drive, Emerald Isle, NC and on to 7 participating bars/stops, Carolina Wine Mixer, Surf’s Up, Trading Post, Flipperz, Island Time Tavern, Shark’s Den and the Growler for a poker card, special drinks and who knows what! 2:00 p.m……….. Poker Run begins. 5:00 p.m……….. Poker Card Stops are closed to participants. 5:30 p.m. ……….You MUST return to the E-Club and turn in your poker hand no later than 5:30 p.m. to be eligible to win. 1st place wins $300, 2nd wins $200 and 3rd takes home $100. Winners of the Poker hand will be announced shortly after 5:30. BEFORE AND AFTER RACE: Silent Auction. Place your bids and enjoy the opportunity to give and receive! (We take credit cards, so don’t be afraid to bid!!) Feeling lucky? We are raffling off a HUGE Board filled with Lottery tickets. Win the entire Board by purchasing raffle tickets. You can win $1,000’s! And don’t forget to purchase tickets for the 50/50 raffle. Help us make this event a success as we continue supporting the Semper Fi Outdoor Odyssey Kid’s Camp for children of wounded warriors in Onslow and Carteret Counties to attend camp and be mentored throughout the year. IT’S BACK! THE TRIP OF THE YEAR! Windjammer has once again graciously donated a windjammer cruise to help benefit the PHiP Scholarship. You can buy these tickets individually or as a club donation to the scholarship (domino college recognition) and use this great prize for your fundraiser. DETAILS OF THE CRUSE AT THE BOTTOM OF THIS POST. Please pass this information around to all your club members. All are eligible to win whether they are going to MOTM or not. How about buying some chances as a club to use the prize for your clubs fund raiser? Parrot Heads in Paradise have been awarding qualified parrot heads and their children a total of $10,000 in scholarships every year for the last 10 years. Fundraising has been just keeping pace with our pay-outs each year and we want to add some additional funds to ensure future years’ have adequate funding. To make sure that we can continue to award these gifts well into the future we have come up with a great way to help that cause. Windjammer cruises has donated a cruise for two to raffle off this year. We will be selling tickets via PayPal or check starting today. We will draw for the cruise Saturday, November 2nd from the stage at Meeting of the Minds for the seven night cruise on this beautiful boat. Winners do not need to be present at MOTM to win the cruise! Tickets are five for $20 or five dollars for one. I will send you via email with a list of your numbers so you have them for your records. I will be tracking the name and numbers of every ticket coming in and they will all be in Key West for the drawing. You can pay via PayPal – https://www.paypal.com/home to PHiPscholarshipraffle@yahoo.com (Please click on the friends and family link) or send your check to David Cohen, 6986 Samantha Court Wheatfield, NY 14304 (checks payable to Parrot Heads in Paradise). Checks will only be accepted up until MOTM registration closes on September 15th. If you are mailing a check please send your email address if you want your numbers emailed to you. When you get to MOTM you may purchase additional tickets right up until 2:30 pm on Saturday. Below is what the cruise is all about. Thank you in advance for your support of the wonderful cause. It’s that time of year again for the PHiP Scholarship Essay Contest. Please pass this information along to your club members. You can cut and paste this email and include it in your email you send out to your members. This is the only way that your members will know of this great opportunity and we need you as leaders to make sure that this information gets out to each and every one of them. This is a wonderful opportunity for your members and their families. Please forward this email to you club at least once a month for the next three months in your clubs communications. This is a great opportunity that we want all eligible students to take advantage of. Thanks in advance for helping to get the word out and good luck to all the applicants. We are proud to announce that the PHiP Scholarship Essay Contest for 2019 is NOW OPEN!!!!!! This program was established in 2008. Three scholarships will be awarded in 2019. The funds may be used for tuition, books or living expenses, at an accredited four-year university or college of the student’s choice. The award will be paid to the winners school account, when a student account is established. YOUR 2019 Meeting of the Minds Update! Here is a quick update on PHiP’s Meeting of the Minds 2019 “License to Chill” in Key West, Florida! The 2019 Meeting of the Minds schedule will be online in a couple of weeks! The schedule is almost complete!! The ink is drying on some contracts and the phone bank is still working overtime. This year will deliver some awesome entertainment!! Standby for full details!! The host hotel is over two thirds full already and room types will start getting scarce very soon. Do not delay to get a Casa reservation if you are planning to stay at the host hotel! Remember if you book a room at the Casa Marina you need to go register for PHiP’s Meeting of the Minds. YOU MUST BE A REGISTERED FOR MOTM TO STAY AT THE CASA MARINA! Only credentialed guests will be allowed into the Casa Marina property during the event. A GREAT DRAWING FOR EARLY REGISTRATION!! GREAT ODDS OF WINNING!! IF you register before April 1st, 2019 YOU will be put in a drawing to WIN 2 tickets to see JIMMY BUFFETT AND THE CORAL REEFER BAND in a city of your choice in the USA or Canada during the 2019 tour courtesy of MARGARITAVILLE FOODS!! All you have to do is register and pick your choice of a city on the 2019 tour If you are the lucky winner YOU will win a pair of concert tickets and access to a pre-show VIP party for any 2019 regularly scheduled Jimmy Buffett tour date within the U.S. or Canada. The concert date must be selected at least 8 weeks prior to the show or as soon as possible if the concert is announced with less than 8 weeks notice. The winner will be drawn on April 2, 2019. You must be registered prior to midnight April 1st to be in the drawing and I can tell you your odds of winning are very good…much better than any lottery you will play! WANT A ROOM AT THE CASA MARINA FOR MOTM 2019? Want to stay at the CASA MARINA RESORT during PHiP’s Meeting of the Minds? The link goes live and the registration staff at the Casa Marina are ready to take your call at noon EST on Monday! You should book your room at the Casa Marina!! Why? Because it is a great deal for a hotel in Key West! It is ground zero for MOTM!! If you book your room by April 1st, 2019 you will be put in a drawing to win a FOUR NIGHT STAY DURING MOTM 2019 IN A TWO BEDROOM OCEAN VIEW SUITE FREE!! Only the people who are on the Casa Marina reservations list and registered for MOTM 2019 by April 1 will be eligible for the drawing. This is the seventh year in a row this prize has been offered. Ask some of the previous winners how cool this is to have this awesome suite right on the water in Key West during Meeting of the Minds for FREE! The 2019 MOTM dates are on the PHiP web site for use in booking your rooms right now!